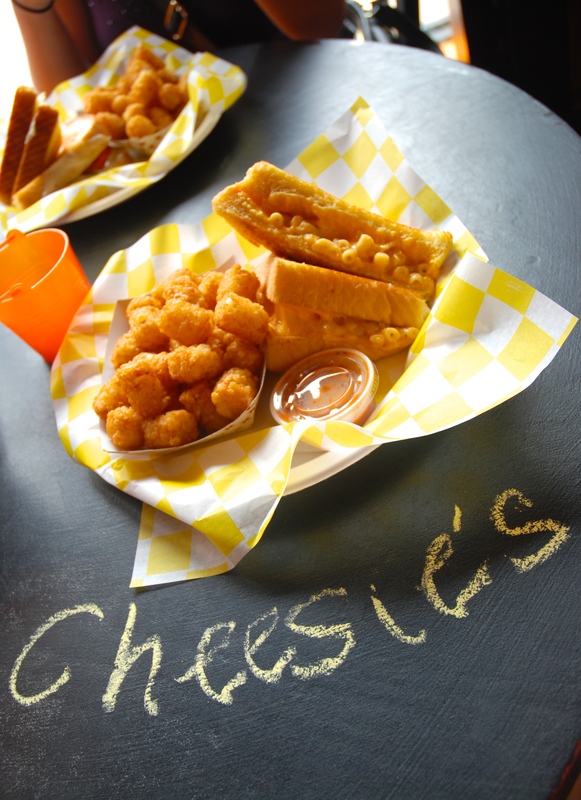 Saturday I had lunch at grilled cheese Heaven – a.k.a Cheesie’s. 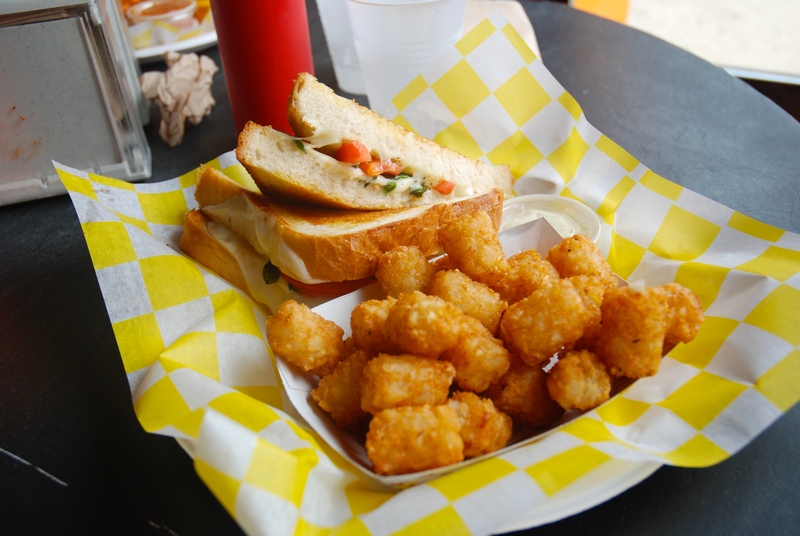 I had been hearing about this joint since my first week in town, and being the melted cheese between two slices of toasty bread lover that I am, I was not going to leave the city without a visit. Cidnye stayed downtown with me this weekend so we could really hang out one last time before I leave back to Texas. With all her family traveling and not having a chance for a fun night out together since Summer Bash, it was much needed! After going back and forth about where to start off our Saturday, Anne, Cid, and I decided we really needed some gourmet grilled cheeses in our life. 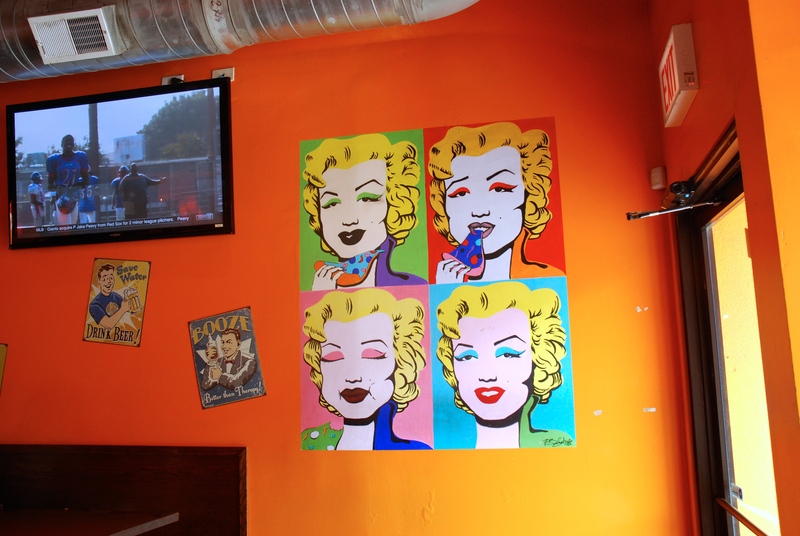 The outside of Cheesie’s seems rather simple, but the inside is decked out with cool posters and art. The menu is displayed on a big chalkboard – it blows my mind. Like how is someone supposed to pick just one yummy sandwich. I repeatly asked the cashier for help and after she probably determined me to be the most indecisive person, I went with The Mac. It had actual macaroni and cheese in it, can I get a YUM? Anne chose with the same, and Cidnye chose The Caprese. Anne got sweet potato fries, Cid and I got tater tots, and everyone was 110% satisfied. It was all amazing! 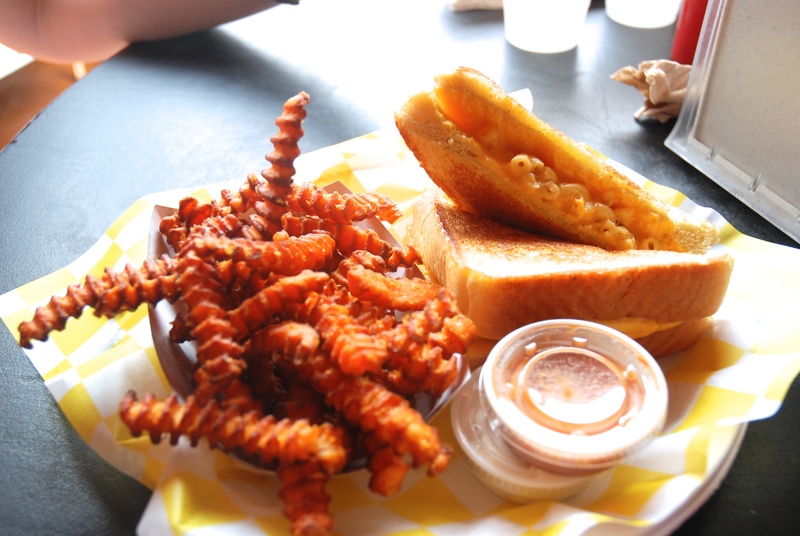 We didn’t wait long and it was without a doubt a grilled cheesey for the books. We also fun doodling on the chalkboard tables. 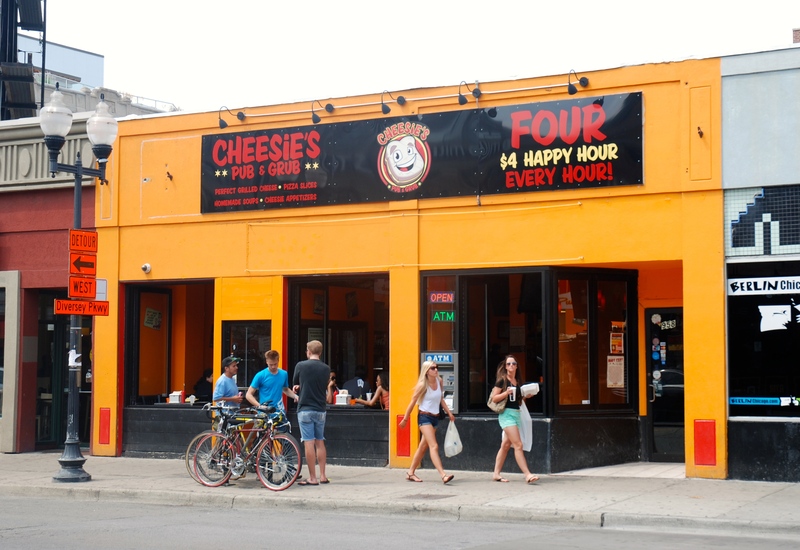 I decided Cheesie’s needs a sampler option on their menu, like pick three to try or something – it would really help those newbies like me who want to taste them all. Thankful for yummy food, funny friends, and Saturdays of wandering with no schedule. Hope everyone has a wonderful start to their week! That food looks so tasty! Thanks for sharing! It was delicious! Thanks for stopping by!